We’ve got some bad news for all you tongue-tied lovers out there. Sweethearts, the candy with a flavor only a mother could love, popular because it said it all for you, will say nothing at all this Valentine’s Day. 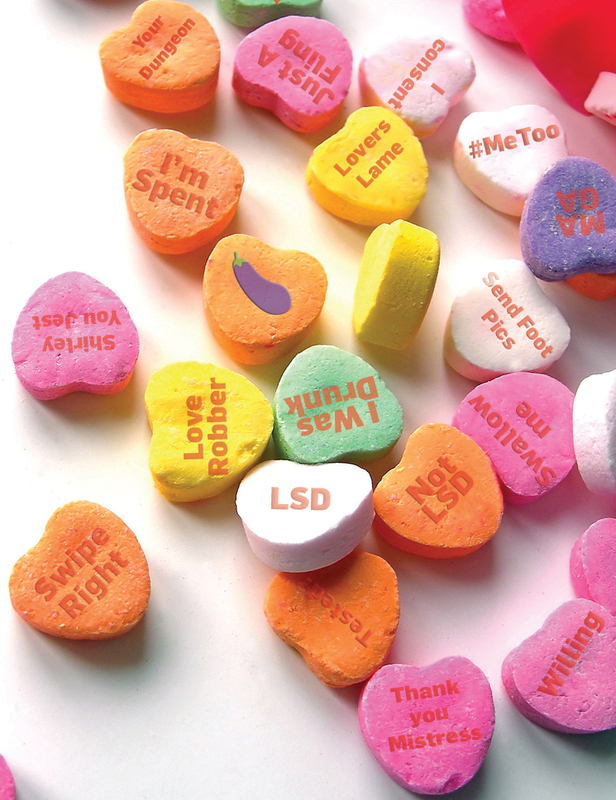 NECCO, their manufacturer, went out of business last summer, so Sweethearts are taking a hiatus until their new owner, Spangler Candy Co., relaunches them in 2020. So as a public service, we’ve come up with our own Sweetheart sayings to help you express your true feelings on this most romantic of holidays. But tread lightly. Our little quips aren’t quite as sweet — or chalky — as the originals.